Fairytale XIXth Century Manor House, Napoleon 3rd style, 180m2, 4 bedrooms, set in a 9160m2 landscaped park with old-century, outbuildings. District of Beauvais (60) – XIXth century former “Hunting Lodge” typical half-timbering/stone . . . 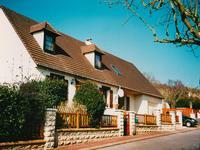 The property is located in the village of Herchies, in the Oise. It is very convenient for . . . This large family home is presented in an excellent condition. It is situated in a hamlet to . . .
A beautiful property, including a large main house, a second house, and a gorgeous . . . This is a spacious and comfortable family home, with a pleasant garden. The property is in a . . .